Home > SALE! 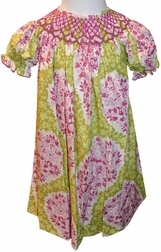 > GIRLS > Smocked Dress in Lime and Cranberry Paisley by Maria Elena. 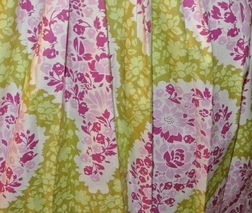 We fell in love with this beautiful fabric by Maria Elena so lovely that it is perfect for any season throughout the year but with its cranberry and lime paisley pattern, is wonderful for Christmas. Exquisit!